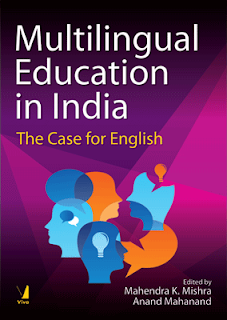 New book on multilingual education in India with a special focus on teaching English. Dr Mahendra Mishra is a well known figure in the area of multilingual education in India. He was State Coordinator for Multilingual Education (1996-2010) in Odisha and spearheaded the mother tongue-based multilingual education in the primary schools in ten tribal languages there. So, when he (co-)writes a book, we better take notice! "Some perceive English language education as a hindrance to the growth of lndian languages and allege that it causes a social divide. The arguments of this book convincingly correct this uninformed notion and prove that English has been a tool of empowerment and a driver of social and economic mobility. The contributors demonstrate that local languages and cultures can be revived by integrating them into English language education." Last week the British Council India hosted the 11th Language and Development Conference on Multilingualism and Development in Delhi. 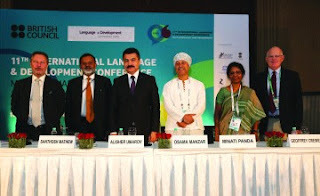 The Statemam published this week an article with highlights of the conference Of course there was quite some attention given to the role that English plays in the sociolinguistic arena india. Prof Ajit Mohanty spoke in that regard about "a double divide: one between the elitist language of power and the major regional languages (vernaculars) and, the other, between the regional languages and the dominated indigenous languages." 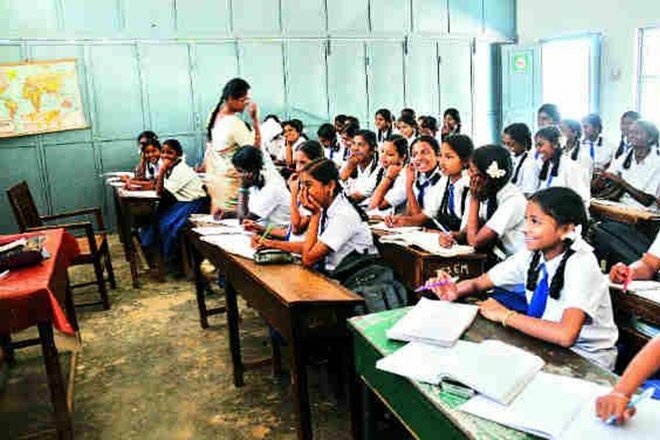 While talking about the promises the parents are given while enrolling their children in private English medium schools, Giridhar Rao of Azim Premji University, "argued that it is a false promise for two reasons. The first is the poor condition of the education system in the country. 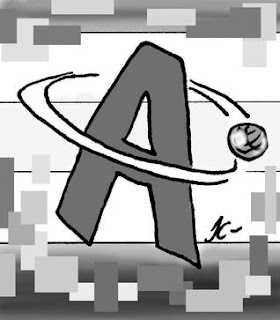 ... private schools do not give better academic results compared to government schools. The second reason, according to Rao, is that the introduction and teaching of English do not emerge out of a mother-tongue-based multi-lingual education." 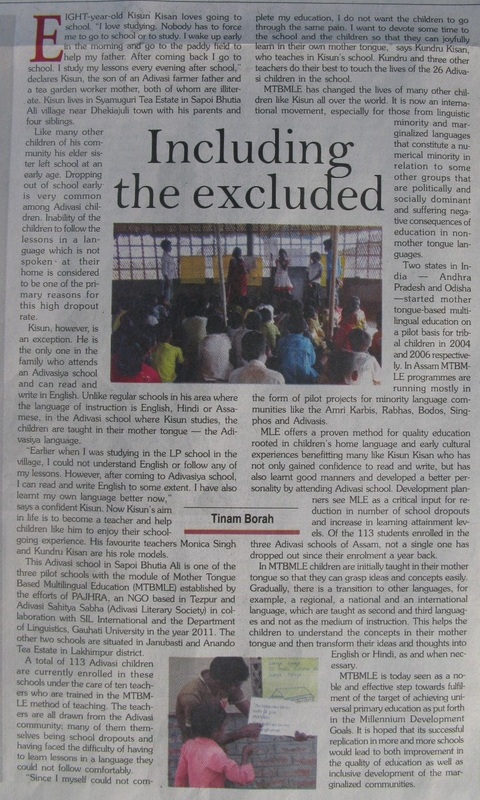 Relevant was also a presentations by Seemita Mohanty, National Institute of Technology, on Mother-Tongue-Based Multilingual Education in the Indian State of Odisha.. She concluded: "Even though the programme is progressing on the right track, there are still numerous issues that need to be handled at the implementation level before it can be designated a success." Not to often we hear about the particular linguistic needs of Moslim learners. Sajida Sultana, English and Foreign Languages University, presented on Muslim Education and Multilingual Contexts: A Study of Madrasas in Hyderabad. It focused on the multi-lingual context of madrasa education and concluded that "there is a need to have a greater understanding of madrasa education and also to relate research insights into curricular innovations in the teaching of English in non-native contexts." Many more presentation were given. 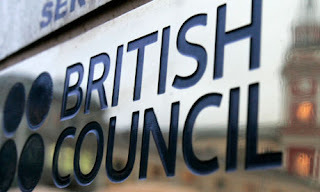 The British Council website reports: "The event was the largest of the conference series so far, attracting over 260 participants and with a programme of more than sixty sessions. Over 30 countries were represented, from Afghanistan to South Africa, Bhutan to the Philippines." 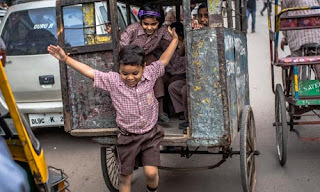 Every year, ASER finds out whether children in rural India go to school, whether they can read simple text and whether they can do basic arithmetic. dropped from 37.4% in 2010 to 22.9% in 2013. Given the changing priorities in education policy and the shift in focus to learning outcomes, we hope that in the next few years there will be much better news to report on children’s learning. The figures indicate that about half of all rural children in Class 8 can read a set of simple sentences [in English] and of those who can read about three-fourths can explain the meaning of what they have read. We have found that children respond well to texts that have both languages interspersed. This is different from bilingual texts where both languages are placed side by side. We must encourage children to have fun in using language differently and appropriately in different situations for different purposes. Serious investment in building strong foundations in language skills will reap rich dividends in all the languages that children use. 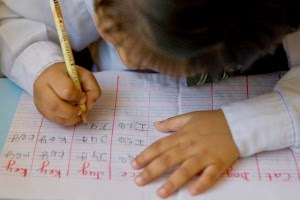 Whether Hindi, English or any other language, our approach to children in our fertile language landscape must be connected to our realities and suited to our condition, capabilities, needs and uses. The British Council is pleased to share the link of the videos from the 3rd International English Language Teacher Educator Conference (TEC) held in Hyderabad from 16 - 18 March 2013. The videos have been uploaded on YouTube and you can view them at this link. Enjoy watching them and others. From some of the speakers there are presentation available also. [MLE] Article in Guardian "Language exodus reshapes India's schools"
"More and more across India, parents are forsaking educating their kids in their mother tongue in favour of English. Despite warnings from educationalists that a child's cognitive development is affected by early schooling in an unfamiliar language, there has been an exponential increase during the last decade in English-medium schools in the country. The latest data compiled by the National University of Education, Planning and Administration (NUEPA) shows that the number of children studying in English-medium schools has increased by a staggering 274% between 2003 and 2011, to over 20 million students." 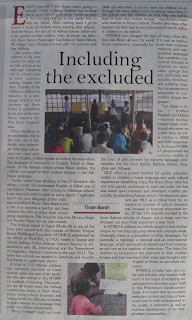 "When the standard of teaching in a regional language school is good, the difference becomes apparent. 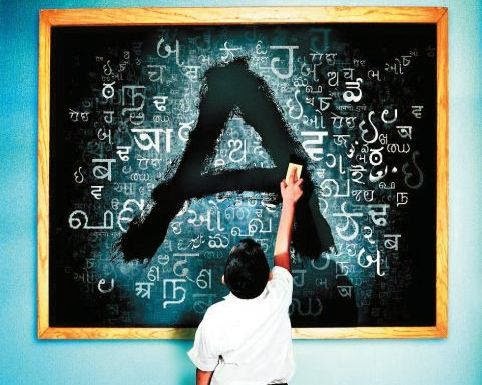 "In India, teaching of languages is generally very outdated, no matter which language," said Anita Rampal, professor of education at Delhi University. "But a study we did in Delhi showed that students who began learning in Hindi for the first five years in a school that taught language well showed the ability later to think independently and write creatively in both Hindi and English."" "Cultural theorist Rita Kothari pointed out that English and regional languages contain different "storehouses of knowledge", both of which are essential for a student. English provides a wealth of modern ideas and historical understanding. 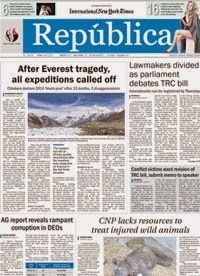 "But without regional languages, the richness of the landscape will get flattened," she said."